LSQ is an opportunity for industry stakeholders to come together and cooperate to grow their businesses and help create a dynamic, internationally competitive and sustainable life sciences industry in Queensland, Australia. LSQ is helping to shape the strategic direction of the industry in the State and influence public policy. We also provide members with tools, services, market intelligence and access to an international network of life sciences organisations with the aim of identifying new business opportunities and accelerating business growth. 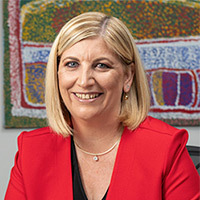 In a broader sense, LSQ is working to enhance Queensland’s national and international reputation as a centre of commercial and research excellence in life sciences. LSQ is an industry-led vehicle, which promotes and supports all segments of the Queensland life sciences industry. Develop the industry by supporting local industry forums and providing members with tools to accelerate their business growth. Create new business opportunities for members through market outreach (e.g. business development services, event management, a co-ordinated approach to international business meetings) that members cannot readily or cost-effectively achieve on their own. Play a leading role in influencing public policy so as to help ensure sustainable growth of the Queensland Life Science Industry. Industrial Biotechnology, including Bio-mining and Bio-energy. 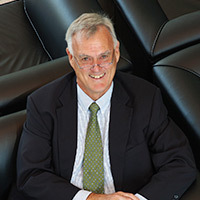 Professor Andrews served as Queensland's first Chief Scientist from 2003 to 2010. Before that, he led multidisciplinary scientific teams in several Australian universities and co-founded six biotechnology companies, two of which took drugs to global markets. He is the co-author, with social scientist Dr Fiona Wood, of "Überpreneurs: how to create innovative global businesses and transform human societies", published in 2014. 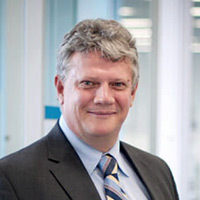 He is currently chairman of the boards of Implicit Bioscience Ltd, Vast Bioscience Pty Ltd and QUTbluebox Pty Ltd, and of the scientific advisory boards of Bond University Faculty of Health Sciences and Medicine and the Maurice Wilkins Centre for Molecular Biodiscovery (NZ). 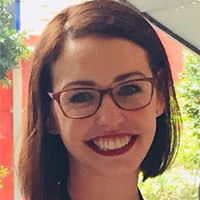 Jennifer is an Assurance Director in EY’s Brisbane office and has over fourteen years’ experience in auditing a variety of industries and corporate reporting requirements in Australia and the United States. Jennifer joined EY in 2002 in the Raleigh USA office and then transferred to the Brisbane office in 2006. She has had a broad range of experience serving clients in a variety of industries including waste management, pharmaceutical, technology, and diversified products. 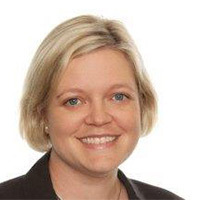 Kathy is Director of New Ventures, Australia and New Zealand (ANZ) for Johnson & Johnson Innovation, Asia-Pacific and is responsible for implementing our strategy across Australia and New Zealand. Kathy has a clinical background and started her commercial career as the VP of Global Business Development for an Australian biotechnology company. Prior to joining Janssen, Kathy worked for Sanofi engaged in in-licensing late stage pharmaceutical assets. Kathy joined Janssen as Biotechnology Alliance Manager in 2011. 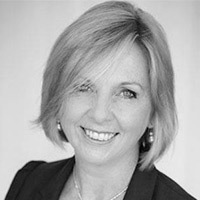 Kathy is a registered psychologist and holds Post Graduate Diplomas in Health and Medical Law from the University of Melbourne, Psychology from Monash University and Bachelor degrees in Psychology (Swinburne University) and Applied Science from LaTrobe University. She is based in Sydney Australia. 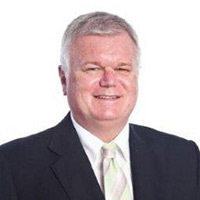 James has had over 35 years in the medical device arena with experience in sales, marketing, new product development and manufacturing operations. He had close involvement with the development of the Zenith Endovascular Graft, working with the both Australia clinical inventors of this device from Perth as well as global clinical leaders in endovascular aortic repair. This immensely successful range of devices became the basis of Cook’s Aortic Intervention business unit and is recognised internationally as a benchmark technology for endovascular treatment of aortic aneurysms. After guiding expansion of the Zenith graft into Asia, in particular Japan and China for 7 years, James then headed the Surgery business unit’s expansion and growth into APAC. As Director New Technologies APAC, he now leads the Asia-Pacific New Technology Team (ANTT) which has seen a number of new technologies introduced to Cook Medical from the region since its inception in early 2014. Distinguished Professor Schofield is inaugural Director of the Australian Institute of Tropical Health and Medicine (AITHM) and the Queensland Tropical Health Alliance (QTHA). He was for 24 years an NH&MRC Research Fellow at the Walter and Eliza Hall Institute in Melbourne, has twice held an International Research Scholarship of the Howard Hughes Medical Institute, and was co-founder of Ancora Pharmaceuticals Inc.
A recognised authority in the immunology and pathogenesis of infectious diseases, his research programs cover basic molecular sciences, product development and commercialisation, epidemiology and public health. His approach to malaria has resulted in promising vaccine development programs, and clinical trials in Papua New Guinea and Africa. He has published key articles in the highest ranked international journals and received over 6,500 citations to date. 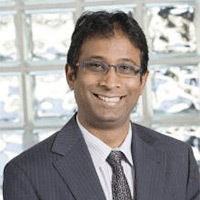 Dr Nagaraj Gopisetty is the Deputy CEO of Life Sciences Queensland and will be heading the business development arm for LSQ - The Life Sciences Catalyst. The program will be a launching pad delivering targeted initiatives that will help advance innovations and accelerate the growth of Queensland's knowledge-based life sciences industry. Prior to joining LSQ, Nagaraj was the Business Development and Innovation Education Manager at the Translational Research Institute. He has been working as an innovation champion with a proven track record in technology commercialisation. Nagaraj has experience in facilitating partnerships between academia and industry, bringing together key stakeholders and capabilities enabling effective pathways for translation and commercialisation. He has scientific and business insights with advanced knowledge and effective skills in intellectual property management, contract and licence negotiations, projects and portfolio management, alliance management, research and business development, capital raising, strategy implementation, sales and marketing. 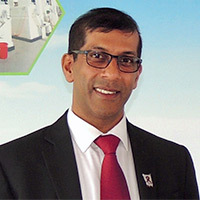 Nagaraj holds a BPharm degree from India, a Masters in Biotechnology (Hon’s) degree from Griffith University and a PhD in Pharmacy from the University of Queensland. More recently, he has earned an MBA from the University of Newcastle. Nagaraj is passionately interested in improving practices and processes within the knowledge exchange and knowledge transfer activities relevant to translation and entrepreneurship in the life sciences sector. Lachlan Storie joined LSQ late in 2015, previously working in membership for the Queensland Reds. He holds a Bachelor of Business Management (UQ) and has a comprehensive background in agriculture, hailing from rural NSW. 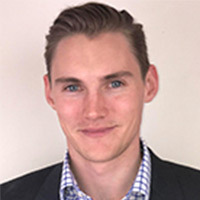 Lachlan leads the coordination of marketing and events, in addition to the implementation of corporate communications.